“More coordinated”. “Boost in confidence”. “Loves the class!”. These are just a few of the comments we hear from parents after putting their kids ages 3 to 6 in our Pre-K Martial Arts program in Elgin. Our preschool classes are built specifically for kids between the ages of 3 and 6. We want your child to have fun while also learning new skills and improving their coordination and focus. 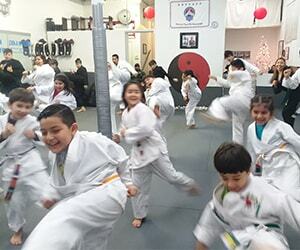 Our kids martial arts classes in Elgin are for children ages 7 and up. 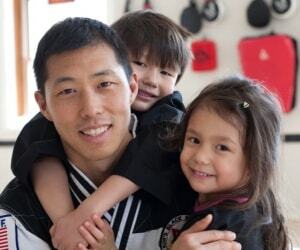 In these classes, we do more than teach self-defense, and kicking and punching. 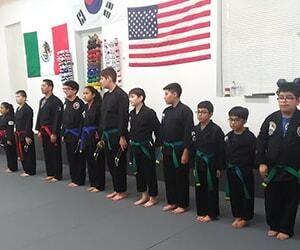 Our kids martial arts classes teach kids discipline, respect, focus, goal setting, team work and so much more. Our program is designed to encourage and inspire your child to learn more, achieve more, and succeed more.